No, Gong Fu Kitchen not a place where the martial arts “gong fu” is practiced in a kitchen. 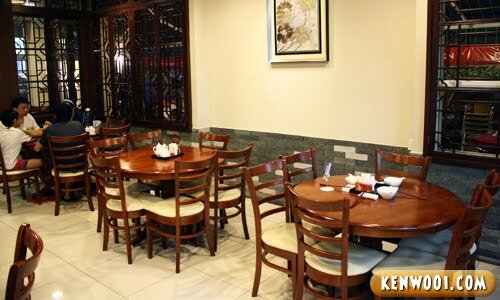 Instead, the Chinese culinary experience exists here at The Strand, Kota Damansara. Anyway, it was an opportunity to dine at this restaurant. Claiming that no MSG is used to ensure the authenticity in taste and emphasize on good health, it’s interesting to find out how natural the food would be. 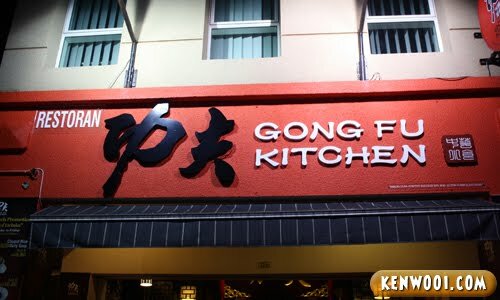 Well, Gong Fu Kitchen is just a small restaurant. Despite having no more than 10 tables, there are tables available during our dinner time. First up, Lamb Brisket Dai Bou Noodles. 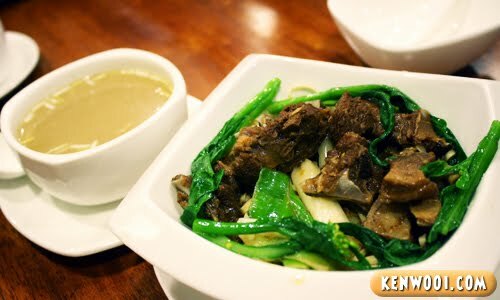 The noodles are just okay, but the lamb meat is tender and tasty. Five Treasure Wonton Noodles. 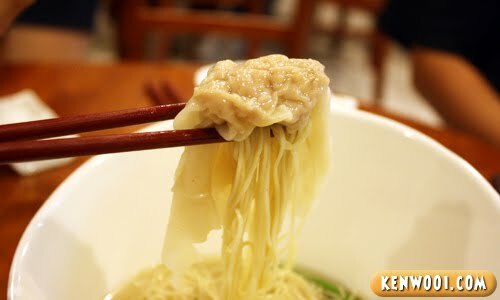 Tastes almost like any ordinary wonton soup noodles. 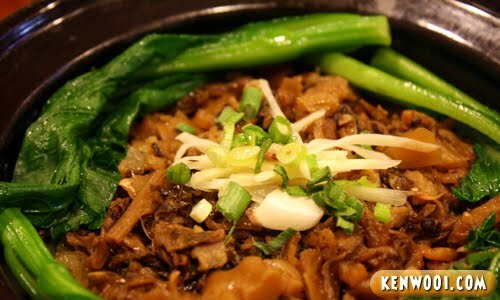 Mixed with mince meat & shrimps, the Mui Choy Rice features the clay pot cooking technique. The rice blends well with the ingredients and the combination produces an aromatic taste. 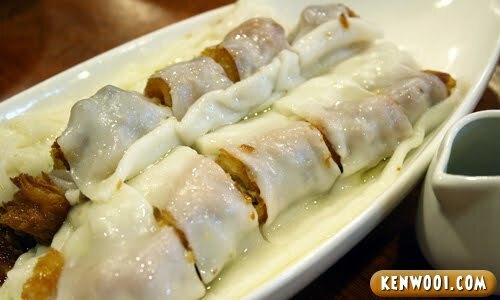 Besides the usual Cheong Fun, they have this unusual Fried Fritters Cheong Fun. Combining the crispy fried fritters and soft rice noodle is something new, and yes I liked it. Tastes good and crunchy. 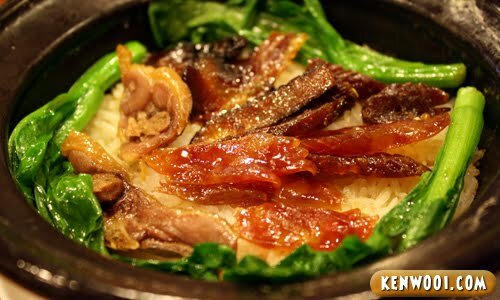 Mainly prepared with 3 different types of Chinese sausages, the Three Fortune Chinese Sausages Rice has a pleasant flavour. You will definitely taste the savoriness with a big mouthful of it. 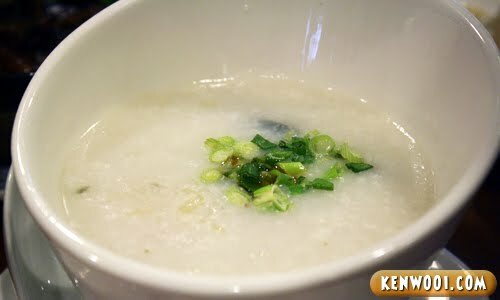 Having the congee without MSG seems plain. Fortunately, this is a Preserved Eggs with Lean Pork Meat Congee. With additional century eggs and pork meat, its nice texture and taste are undeniable. 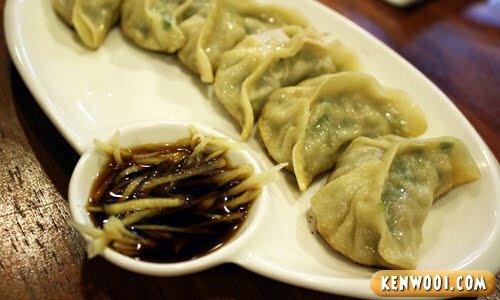 Pan Fried Dumplings. Stuffed with vegetables, meat and prawn, and with the wrapper skin partly fried, it’s one of their main dishes. Gotta like the well-mixed filling. Laiwan Little Boat Congee. 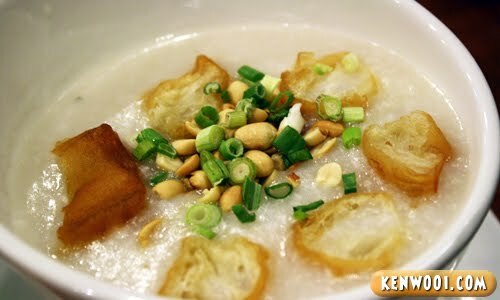 Yet another congee, but this is topped with pieces of fried fritters, nuts and spring onions. Simple yet unique. Overall, the selection of food is pretty much the same. Portion-wise, they’re moderate. 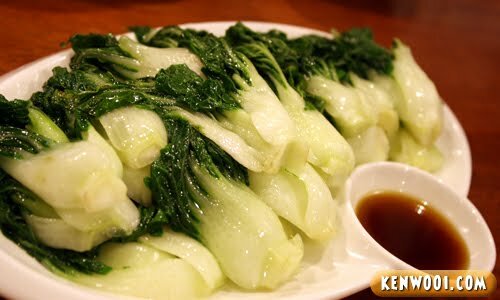 Nothing extravagant as compared to the Western dishes, but if you fancy something simple and culturally Chinese – drop by Gong Fu Kitchen. Perhaps, it’ll make you feel like jumping into the air and do some gong fu stunts. omg! the food look so delicious! You had a wonderful time cari makan! I pretty like the Laiwan Little Boat Congee. Hmmmm….I would love this place – I’ve developed an aversion for msg. Food looks really good. Yum! 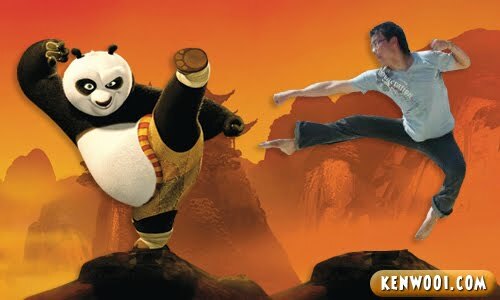 i know there is a “kung fu room” at cheras… kung fu is everywhere!! Something very unusual about the CCF.. would like to try that! No MSG? My parents would love this place. Heh. their soups are reaaaaaaaaaaaaal terrible tho. It looks like quite famous recently ya. I see a lot of bloggers blog about this restaurant recently. I imagine you were chopstick-fighting with others over the food, lol.